"I personally thank each and every client for their business and their referrals as I know their happiness is the foundation of my success!" Rob and Lisa Braden: Michelle was very helpful throughout our home buying process. She arranged inspections quickly and efficiently, and even renegotiated after the inspection to get us another $2,000 off the purchase price for a minor issue that ended up costing less than $100 to fix. She was knowledgeable about the area and my wife and I would definitely work with her again. Bill Kidd, Kidd Construction Group:As a builder Michele gives me a unique problem. I never have a completed house for anyone to see..She always gets it sold before I can complete the build ! Michele is honest and professional and a huge asset to my business. Lew Coggins :Michele has single handedly changed my opinion of real estate agents. She did a tremendous job selling our home and getting a price better than we expected. She is knowledgeable and responsive. She is very experienced and able to help wade through all the details professionally and seemingly rather effortlessly. I offer her my highest recommendation. The Barkmans:She was interested in us and what we needed, never talked down to us even if she knew more about the business end of selling a house. We enjoyed working with her. Libby McCarthy :I have had the opportunity to work with Michele on numerous occasions when selling my own personal properties as well as properties in an estate that I am responsible for. Michele is very knowledgeable of the current market situation and looks for every opportunity to help you get your property sold. She is always going that extra mile to find a buyer and puts every effort into following through with making sure the closing process is a smooth one. I can always count on Michele to get the job done! I have recommended her in the past to my friends and co-workers and will continue to do so. You can't go wrong if you choose Michele. Mike and Lisa Bagwell : Michelle leaves no stone unturned to assist in finding the right home for you. She has demonstrated expertise in negotiation and makes you feel as though you are her most important customer. A blessing to work with! Terry and Lynn Senich : Michele represented us in the sale of two different homes and in the purchase of a third. She is simply fabulous. Knows the markets well. Listens carefully to what clients' objectives are. She has a special talent for anticipating hurdles and for putting together people's wants and needs. She is always positive and meets each challenge with a smile and with resolve to solve the problem. We heartily endorse her ! Jon Banks USMC: My husband and I had recently relocated to Morehead City, NC from Whidbey Island, WA and looking to purchase a home, and were referred to Michele based on her excellent VA Loan knowledge reputation. We're so happy Michele was our Realtor because she was able to interpret our wants very quickly, show us homes within our budget, explain the neighborhoods in detail, and closed the deal quickly. I would certainly recommend Michele to anyone in need of a home in the Morehead City area and will be calling Michele once we’re ready to sell our home. The Worleys : After having our house on the market for over a year and a half with no results, we decided to try Michele who was referred by The Dave Ramsey Show. Michele is very professional, courteous, friendly, and above all knows her business and the market ! She got it done and we get to retire to Florida ! Michaela Walker: Michelle worked hard for our family and found us the perfect house for our current needs. Thanks Michelle! K Hoerburger USMC: Michele was an excellent Realtor. She worked with me on getting multiple places to look at and eventually deciding on the right home. She stayed persistent through the bidding process eventually being able to work a deal with the selling agent to get the right home for the right price. Sammy Williams CPA: Michele has a great feel for value as well as marketing of real estate. We used her to help us find a townhouse, but it was her attention to pointing out details, both benefits and problems, that impressed us. I would definitely use her again. Randy Wynne, Mortgage Professional:I have worked with Michele on the lending side for several transactions. Her knowledge of the mortgage process and attention to detail make her a joy to work with. A Five star rating for Michele...I highly recommend her!! Curtis Struyk :Michele is a detailed minded person with a great skill set for the real estate business. A people person that gets the job done with complete satisfaction. I would highly recommend her to be your next agent in any market. Char Stubbs: Michele worked with me to find me dream beach home in NC. It was a long and exhausting search, but Michele accommodated my busy schedule and pre-reviewed many homes for me. In the end, she was very creative in working through a 10-month negotiation to purchase a short sale home, which I am thoroughly enjoying. Cindy McVeigh: Michele Connors went to bat for me when I called her to help me find a house. She processed every avenue and thoroughly covered all aspects, in great detail, of what I needed and required for my first home purchase. I can't praise her enough for her integrity and ability to grasp my situation. I would highly recommend her for any real estate needs and would certainly call upon her myself again in the future ! Billy Willis : Michele helped us through a very difficult short sale transaction that took almost a year. The result was exactly what we needed. Tara Timblin : Michele was great to work with. She helped us through the process of buying our first home. She was patient and thorough. We now have a beautiful home in a great neighborhood. I recommend Michele highly! Nick Crabtree: Michele is an industry expert and is very easy to work with. She is great at making her clients get the best results and are most importantly HAPPY! Laura Hall,Mortgage Professional : Michele is a pleasure to work with and dedicated to providing outstanding service to her clients. Michele is very professional, with extensive knowledge in the real estate market. I would highly recommend Michele. 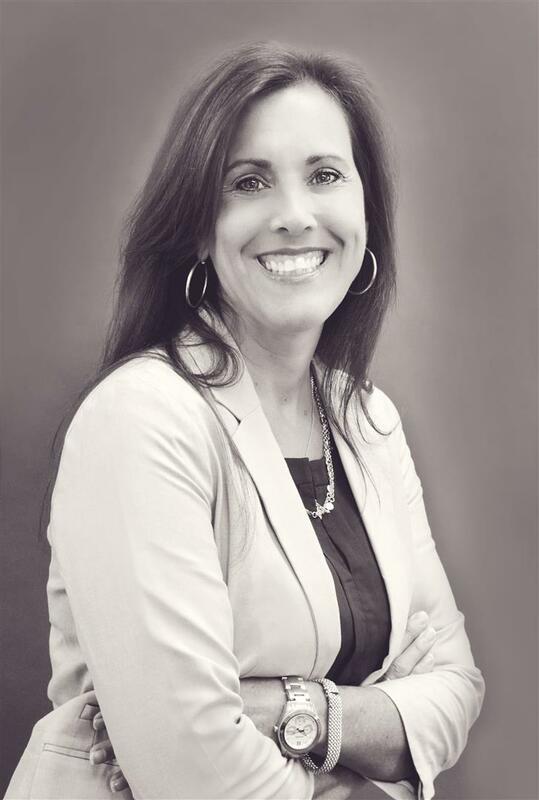 Griff Graves, Real Estate Attorney: During the years that Michele lived in Chapel Hill, I had the pleasure of working with her and her clients on many real estate closings and she certainly made my job as the closing attorney much easier. Michele is a detail oriented person who on every transaction worked very hard in representing her clients and looking after her client's interests. She was a true professional in the real estate industry and I can wholeheartedly recommend her to future clients and everyone else who works in the real estate area. Jeff Foster, Attorney: Michele is an excellent resource for the sale and purchase of real estate. She excels in caring customer service and is very ethical and motivated to give her clients outstanding results. I recommend Michele very highly. Rob Carlson USMC: I can't say enough good things about Michele. She has stuck with my wife and I while waffling about a home purchase for the last 3 years. Michele's dedication and loyalty are exemplary! Highly recommended. We love our home !